Former Home Secretary Theresa May became Britain’s Prime Minister recently, with the task of steering its withdrawal out of the European Union. Many will view the events of these past few weeks as evidence of democracy in action in Britain. The people voted to leave the EU and now the government is pledging to carry this out. The reality however is that democracy is a false mirage that can never practically exist; and Britain’s actions in recent weeks are far from truly allowing the people a voice in their affairs. Holding a referendum is an extremely rare event in British politics. Policies are determined by government and by parliament without the need to refer such matters to the people. This is in accordance with the idea of ‘Representative Democracy’ which is what is actually implemented in the world today. But Representative Democracy is not democracy, particularly since people cannot freely choose their representatives but must select between limited options controlled by leading political parties. And the broad political landscape is secured by establishment control of media, justice and corporate interests. The need for a referendum only arises when the establishment senses it is losing control of the political class and needs to realign politicians with their principal policies. The EU referendum was held not to take the opinion of the people but to unify the political class behind establishment policy. The political class has been divided on this issue, particularly in the Conservative Party since the time of Margaret Thatcher. The cause of the division is in fact the establishment policy itself. The establishment seeks partial participation in the affairs of Europe, neither fully in nor fully out. Such a policy is indefensible politically and so it was natural for politicians to become confused on this matter, resulting in two different camps on the issue of Europe. Such a situation had become untenable, and so the establishment used the referendum to unify the political class on this matter. It is expected that the establishment would have preferred a Remain vote. But in any case, the Conservative Party will now be able to reunify behind the leadership of Theresa May, who is a senior pro-establishment politician. Andrea Leadsom was very easily eliminated from contesting the leadership through a deceitful media campaign, just as earlier Boris Johnson was smoothly ejected from candidacy by the actions of the pro-establishment Michael Gove. 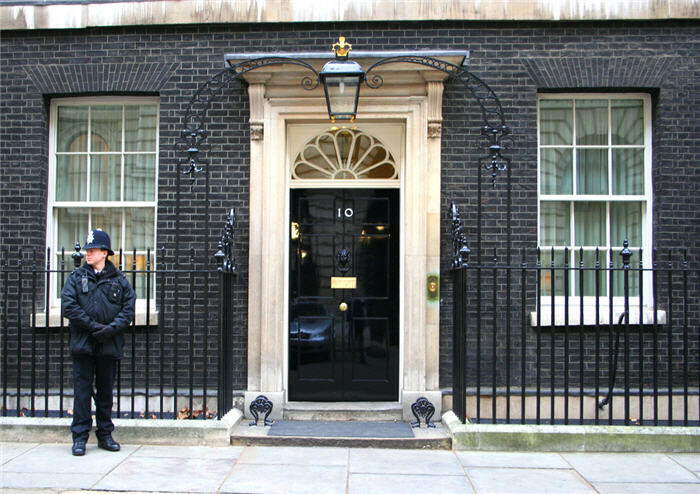 In Britain it is particularly easy for the establishment to select the Prime Minister of their choice as party leaders are not directly elected by the people. Democracy is an unworkable fiction. People in general are unqualified to decide on technically complex laws and policies. Policies and laws in the West are not made by ordinary people. The referendum was only a vote to either ‘Leave’ or ‘Remain’. People were not, and could not be, consulted on even simple decisions beyond this: the terms on which to remain or the terms on which to leave. Democracy was the dream of materialist atheists in Europe who fought against the rule of the Church. The Western establishment, addicted to power, abandoned the Church during its time of weakness and came to a compromise with the atheistic campaign, separating religion from life and grafting the atheistic ideals of freedom and democracy on top of Christian civilisation. Even now, after the subsequent materialist project of Communism failed, the West refuses to abandon freedom and democracy, even though these were the slogans of that ideology also. Western Christianity failed in its battle with atheism. It falls to Muslims to expose the true reality of freedom and democracy. Like any manufactured thing, man cannot devise his own system. Even the materialist atheists do not claim that man made himself. Man can only function properly when he follows the system that his Creator has provided for him. Muslims must demonstrate this practically by re-establishing the Righteously-guided Khilafah State upon the method of the Prophethood and rebuilding a world civilisation based on the worship of the Creator.